FootGolf is available daily on Bel-Aire's 9-Hole course. Learn more about our FootGolf offerings. Open year round, Bel-Aire Golf Course is a 27-hole facility, featuring an 18-hole executive par 60 course that has 6 par 4’s, a 9-hole par 3 course, and a well-stocked golf center. Snacks and refreshments are available through vending machines. Bel-Aire is a wonderful place to learn the game of golf in a fun and relaxed setting. The Park System offers an extensive number of introductory and intermediate golf clinics for adults and juniors at Bel-Aire. Call 732-462-9224 ext. 1# for information on golf clinics and lessons. Tee times at Bel-Aire 18-Hole Golf Course are available through the tee-time reservation system with the purchase of a Monmouth County Resident ID Card or a Non-Resident ID Card. 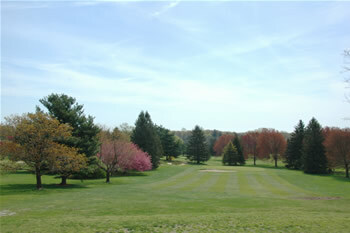 Reserve a tee-time online or call 732-758-8393. The Bel-Aire 9-Hole Golf Course does not accept advance reservations, it is a walk-on, first come, first served facility. A children's rate (12 and under) of $5 is available daily at on the Par 3 9-Hole Course.